Prime Minister Binyamin Netanyahu was under fire Sunday after it was reported that his son was dating a non-Jewish woman. 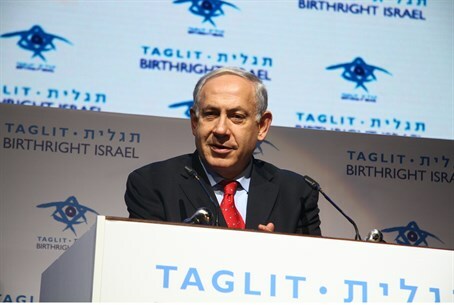 Prime Minister Binyamin Netanyahu was under fire Sunday after it was reported that his son was dating a non-Jewish woman. Yair, 23, is said to be dating 25-year-old Norwegian Sandra Leikanger, currently studying in Israel. The two met at the Herzliya Interdisciplinary Center, where they study. Lehava, a right-wing Jewish education group, called on Netanyahu "to prevent this relationship. Your grandchildren, as you know, will not be Jewish" if the two marry, Lehava director Bentzi Gopshtain warned the Israeli premier in a Facebook post. Sources have confirmed that Leikanger is not Jewish. The news about Yair's relationship with her leaked after Netanyahu told his Norwegian counterpart Erna Solberg the two had recently holidayed in Norway. Yair is the son of Netanyahu's third wife, Sarah. Netanyahu was himself married to a non-Jewish woman, Fleur Cates, between 1981 and 1984. Netanyahu has claimed that she converted, although this has never been confirmed. Netanyahu's office refused to comment on Yair's reported relationship.